The microwave oven has almost become an essential appliance in the kitchen. Women across the globe have found microwave cooking as the best alternative to other types. Among other reasons, the good side of the microwave is that it does not emit heat and hence kitchen does not heat up, and this is a great advantage during summer months. Although microwave oven can do so much in cooking, mostly it is used for making popcorn, heating coffee or melting butter etc. Most women are not using the microwave to its optimal level due to lack of knowledge in cooking in it. The following information and tips help use the microwave for a variety of purposes. Voltage of electricity over which it works, converts into waves of electromagnetic energy which is a typical combination of electrical and magnetic energy. This is the frequency band of radio waves, not x-rays. The inbuilt wave guide and stirrer blade in collaboration with each other see to it that the emanating energy is passed to all areas of the oven interior. When the set timer reaches zero or when the door is opened the energy passing is automatically stopped in the oven. Microwaves released in the oven make the water molecules in the food material vibrate and twist which produces heat, and this heat helps cook food. Since microwave energy is absorbed and converted to heat by the food, intended to be cooked, the microwave energy cannot contaminate the food. Always keep the microwave clean, otherwise leftovers may spoil the food. Never use aluminum or metallic covered material in microwave as there is the chance of a generation of sparks. Microwave cooking evaporates minimal moisture, so reduce the required water content by Â¼. This cooking increases flavor of spices – reduce quantity of spices or herbs by half. All foods that contain liquid, fat and sugar cook faster. Therefore, reduce cooking time by one fourth and gradually increase to obtain the needed result. Another important thing is, it enhances salty flavor, and hence it is better reducing salt by 1/3 or add it after cooking. For even cooking arrange the dish in such way that the thicker part is on the outside and the thinner portion inside, and for even distribution of heat use a cone in the center. You need to add toppings like cheese etc. at the end of cooking so as not to make the top portion soggy or tough. Always cover the dish properly with a lid or plastic wrap. While you place the dish leave some gap or if you are using plastic wrap make holes on it so as to make room for the steam to escape. Dishes like meat, poultry, vegetables and fruits take more time to cook. So the ‘6 minutes per pound/kg rule’ need to be followed while cooking in the microwave. Seafood’s consume less time to cook. Larger dishes need to be cut into equal size pieces for equal cooking. And, if you can make them round instead of square or rectangular, they cook well. Do not pile up the food. As far as possible, spread the food evenly in the oven. If there is the need for turning make sure you do it. 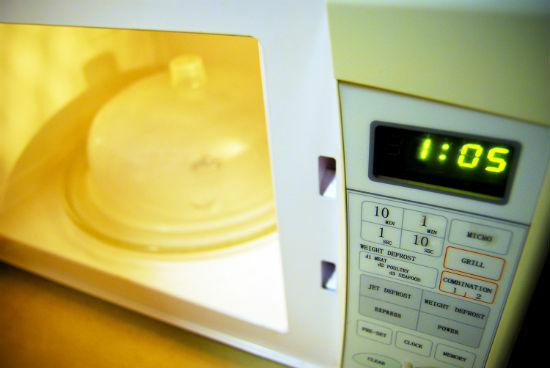 Since you cook different items in the microwave, you need to set the time according to the type of food being cooked. Avoid alcohol and milk based foods in the dishes. Ensure to read attached brochure for the rules of cooking in the microwave to shun avoidable mishaps. 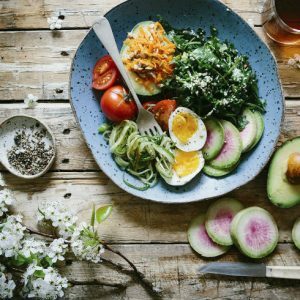 Feel free to comment or share your thoughts on this "Microwave Cooking Tips" article from Awesome Cuisine.